When I was growing up in Timaru in the 1980s, there were two cinemas showing all the latest movies, and while I’ve been to many, many other theatres all over the world since, you never forget your first ones. The State also disappeared decades ago, but it was there when I was a kid. 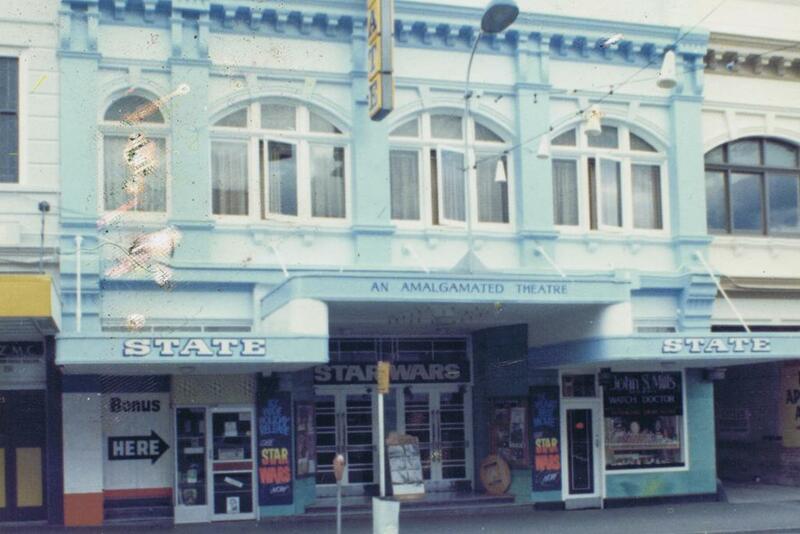 My admittedly dodgy memory is that it was the cinema that played all the big blockbusters, so you went there to see the latest Star Wars or Star Trek II or Legend of the Lone Ranger. The cinema eventually got sucked up into a strip mall which is now full of ghost shops in the middle of town. The Majestic lasted a bit longer. It got its share of blockbusters – my earliest ever movie memory is seeing Superman there with my cousins – but it mainly had a weird mix of serious adult fare and absolute shlock. I wasn’t interested in the serious stuff, but I definitely saw things like the Village People movie and Spies Like Us there. It was also the first place I ever saw a movie at night, instead of a midday matinee, and I can still remember the thrill of seeing the night sky after walking out of the Terence Hill/Bud Spencer masterpiece Who Finds A Friend Finds A Treasure. By the early nineties, just when my obsession with all things cinema reached its peak, the Majestic was still there, and I went to everything they showed - including Romper Stomper, Bram Stoker’s Dracula and Speed – multiple times. It was soon replaced by a small multiplex somewhere else in town, and the foyer of the Majestic was turned into a video store for a long while, until it went the way of all the other video stores. Weirdly, the thing I miss most from these old theatres isn’t the lingering smell of popcorn and Tangy Fruits (best lollies ever), or the intermissions, or the single tickets, it’s the sound. These theatres were vast, open spaces (or at least, they felt like that way to a kid), and the sound would bounce and reverberate off the walls, giving movie dialogue, music and sound effects a strange echo effect that has been wiped out by multiplex perfection. Sometimes I’ll check out an old cinema somewhere that I’ve never been to before, and I’ll catch that echo again. It’s the best feeling, taking me all the way back to the earliest films I ever enjoyed at the theatre. Nothing beats the feeling of your first cinemas, and there will always be a place in my movie-loving soul for the State and the Majestic.